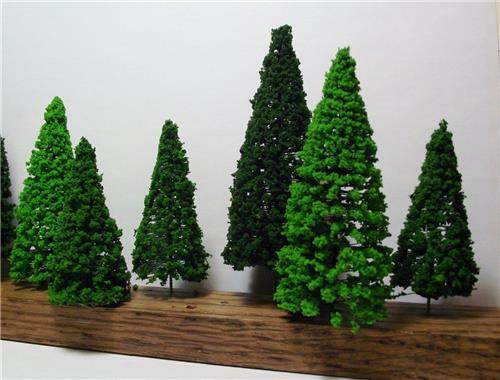 2 PCS.-4 3/4" X 1 7/8"
2 PCS.-4" X 1 5/8"
3PCS.-3 1/4" X 1 3/8"
WITH THIS AUTHENTIC SCALE MODEL SCENERY, THERE IS NO LIMIT TO THE DETAIL YOU CAN ADD TO YOUR PROJECT! ALL OF THE ARCHITECTURAL MODEL SUPPLIES WE LIST ARE BRAND NEW AND HAVE NEVER BEEN USED. ANY QUESTIONS YOU MIGHT HAVE ABOUT THE PRODUCT OR COMPATABILITY AND HOOK UP CAN BE ADDRESSED BY CONTACTING US.